My most painful parenting moment, bar none, was the night I accidentally told my eight-year-old that there was no Santa Claus. The day after Christmas, she had seen some toy boxes in the garage, which matched the gifts so perfectly assembled under the tree the previous morning. As I tucked her into bed that night, she probed gingerly. I know now that she was expecting that I would disclose some special, sparkling secret about elves… their tactics of managing on-site assembly, perhaps. But I mistook her question; I thought my smart, old-souled daughter was telling me the jig was up, demanding the truth about Santa Clause and the whole holiday hoax. I had so dreaded this day that I jumped too quickly to rip off the Band-Aid. 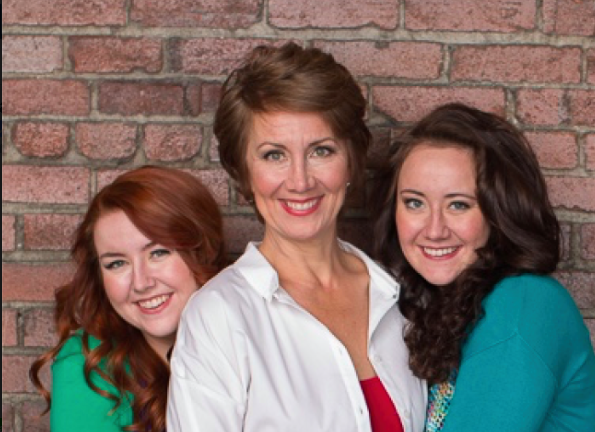 “Okay, you’ve caught us.” I confessed – but not nearly so directly as that. I used a mishmash of syllables that I forgot seconds after they left my lips, making it nearly impossible to remember precisely what I had given her little mind to process. I only remember that my words felt immediately like a butcher knife, puncturing the airy, glitter-coated bubble of Christmas magic that Tess had breathed into being since she was three. It happened too fast. From her strong, curious sitting position, my flannel-clad angel melted back onto her pillow as sadness overtook her. She locked eyes with me as the sobs seized her, as if she knew she was about to be overwhelmed by a grief she could not manage. Quickly, I tried to backpedal. “Oh, no honey…I didn’t mean parents ARE Santa… I meant to say ‘parents HELP Santa.” I could feel my heart racing and my voice shaking, so I slowed down to seem casual. “Santa sometimes makes mistakes…or leaves boxes for later. Santa needs so much help…so many kids…” But the damage was done. Tess tried to act as if she was satisfied with my protestations. But those minutes became an ugly, scary redaction on a once-perfect story, and I read the pain in her for weeks. I kicked the Tooth Fairy out of our house with equal elegance. For our family, the Tooth Fairy accompanied her modest cash with tiny notes, written on wispy pink handmade paper – very unique and fairylike. When a girl found a note from the Tooth Fairy under her pillow, there was no doubt it was from a magical being. Unless…she was a particularly curious 6-year-old who found the other half of the sheet of fairy paper on her mother’s art desk later that week. Busted. My daughters’ childhoods were, thankfully, free of real tragedy. So losing these magical visitors were big losses – the first they had endured in their brief lives. And I hated that they were my fault. How could I play so fast and loose with my part of these childhood staples? Childhood is fleeting, and cutting it short seems tragic. Because as soon as children understand what being human really is, the losses come fast and furious. Magic evaporates. Mystery hitches a ride with Rudolf. Heroes fall off their pedestals, and princesses become people we don’t want to grow up to be afterall. The wonder and whimsy and magical potions leak out of life, only to be replaced by responsibility, reality and doing your own laundry. Now 24 and 21, my girls tell me that the losses of childhood were entirely worth it. A she-ro who falls off her pedestal is better than no she-ro at all, they say. And finding out that parents helped the elves do their work? Well, that just makes parents seem more fun and magical. That’s what they say now, anyway. But talk of such things is always a short, one-way conversation, and my daughters know better than to push it. Because there is still chocolate at stake. 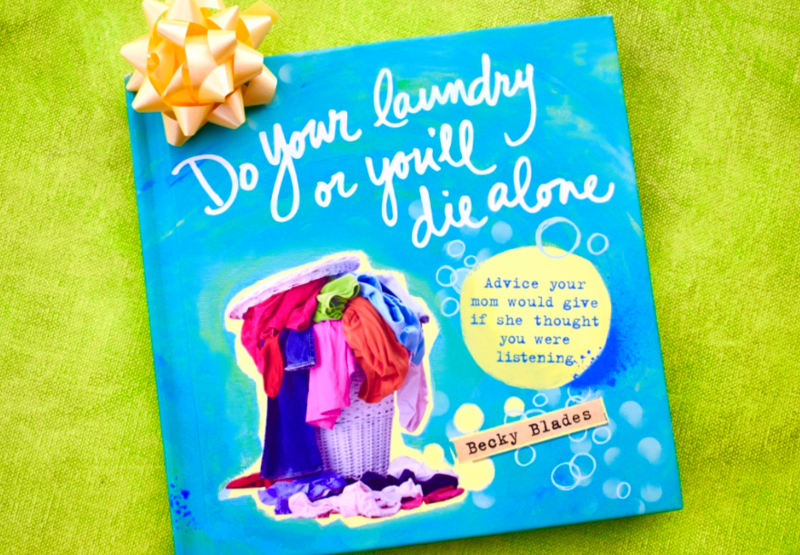 Becky Blades is author and illustrator of Do Your Laundry or You’ll Die Alone: Advice Your Mom Would Give If She Thought You Were Listening. It’s a wise, witty collection of coming-of-age encouragement, for the newly launched woman child in all of us. It fits perfectly in Santa’s bag and Easter baskets … and under pillows. Get yours at your local book store or right HERE. Great stories. These tell-it-to-me straight times were heart wrenching for me. I wanted the magic to last into the teen years. Happy Easter.